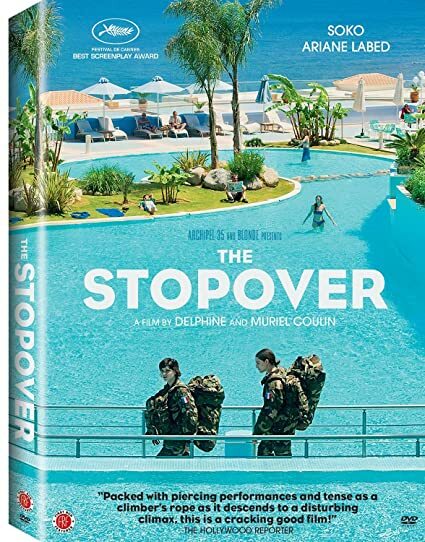 The Stopover - BUY THIS DVD! On their way home from Afghanistan, a band of French soldiers stop in Cyprus for decompression: three days at a sun-splashed resort, where they will undergo intense psychological debriefing. There, amidst the crystal-blue waters and hordes of vacationing tourists, Marine (Soko) and Aurore (Ariane Labed) two of only three women in their male-dominated unit confront rage, trauma, and army sexism as they struggle to readjust to normal life. This riveting drama winner of the Best Screenplay award in the Un Certain Regard competition at Cannes is an all-too-rare exploration of war s psychological wounds on female soldiers. THEN SEND IN A COMMENT ABOUT YOUR FAVORITE FUNIMATION TITLE (you may click on artwork above for a refresher) PLUS YOUR NAME AND ADDRESS TO contests@efilmcritic.com or WeLoveHBS@aol.com. (Just one e-mail please.) Put [b]"CAN WE GET A STOPOVER BY SOKO?" in the subject line and cross your fingers. We will draw names and one of the prizes could be yours. Only 1 entry per household.